Bhai Nand Lal follows a classical line of Persian poets which includes Hafez, Sa’di, Rumi etc. who had mastered the subtler elements of the Persian language and wrote deep beautiful poetry on the mystical aspects of the Path they travelled upon. Bhai Nand Lal carries this same legacy. He wrote in the great classical meters of Persian poetry such as the rubaiyat, ghazal etc., as well as the Indian poetical meters such as the dohra and chaupai. The metre and rhythms chosen by Bhai Nand Lal for his various writings were specifically chosen to enhance the message and mystical feelings he was trying to impart. They are like the whispers of two lovers in a crowd. If you allow them to caress your ears and penetrate your heart they will surely take you to places where your spirit will be at home, at the lotus feet of the Eternal Satguru. The Sikh religion consists of a wide range of scriptures centred around the Guru Granth Sahib, each emphasizing the universal dimension of the Sikh tradition that transcends all languages, religions and ethnic barriers. 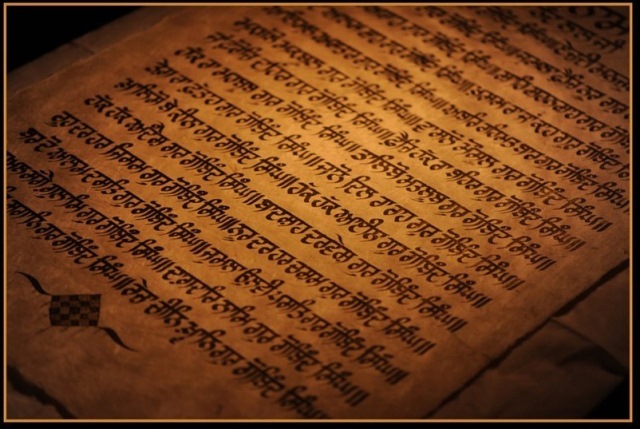 The Sikh canon consists of the Guru Granth Sahib, Dasam Granth, Sarbloh Granth as well as the commentaries of Bhai Gurdas and Bhai Nand Lal; All in all more than 20 languages are utilised in these scriptures to express the most subtlest of truths. It is in this universal light of love that Bhai Nand Lal’s writings should be interpreted. As Guru Nanak, the first Guru, was surrounded by Bhai Mardana and Bhai Bala, each representing the Hindu and Islamic world through their Sikh identity, so too is the Guru Grath Sahib, the final and eternal Guru, surrounded and accompanied by Bhai Gurdas and Bhai Nand Lal, both reflecting the Light and majesty of the Sikh tradition through their respective Hindu/Muslim vocabulary and metaphors. Since the fall of the Sikh empire and kingdoms in the 19th century, the Persian language has been in decline amongst Sikhs, which has resulted in a lack of knowledge about the works of Bhai Nand Lal. Although many compositions of the Guru Granth Sahib, Dasam Granth and Sarbloh Granth as well as the many writings of Bhai Nand Lal are all written in this classic language, knowledge of Persian has seen a decline. About a hundreds years ago, the descendants of Bhai Nand Lal saw this decline amongst the contemporary Sikhs and fearing that the Sikhs would eventually abandon the writings of their cherished and beloved ancestor they began to translate his works into Punjabi and English. On this website, we wish to expand on this project by adding a global dimension and dedicate a whole website to this most beloved Sikh poet. We hope that it will inspire others, whether artist or layman, to read more about the life and works of Bhai Nand Lal and contribute to spreading the name of this most glorious and superb poet. 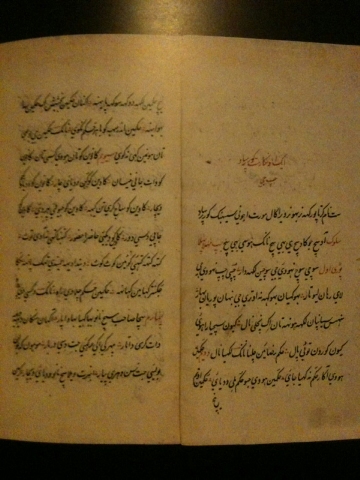 Handwritten Gurmukhi calligraphy of Sultanât Daham in the Ganjnamâ composition. Every heart which in the pursuit of Love has itself become the Beloved, Know, for sure, that he becomes the Beloved’s beloved. Not a particle is empty of the Grace of His bounty. The Engraver is hidden inside the Engraved. On this website you will be able to find information on the life and works of Bhai Nand Lal. By this we hope that the global Sikh community will achieve a greater understanding of the multi dimensional and transcultural aspects of Sikhi, which in Bhai Nand Lal’s case is expressed through the Islamicate tradition.